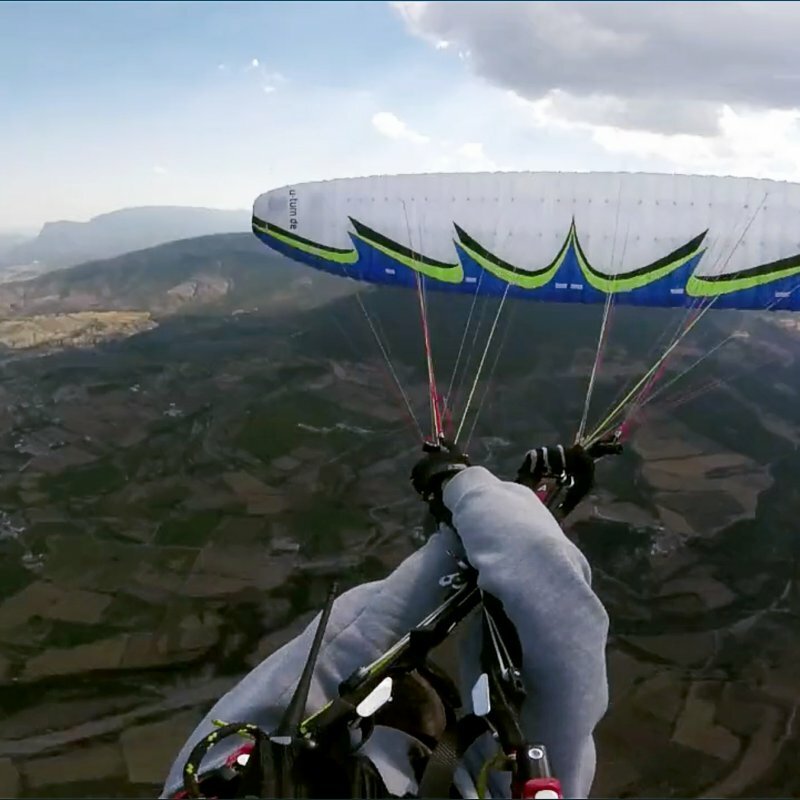 The wing not only performs all acro-maneuvers very swiftly, but especially scores when it comes to the connections. 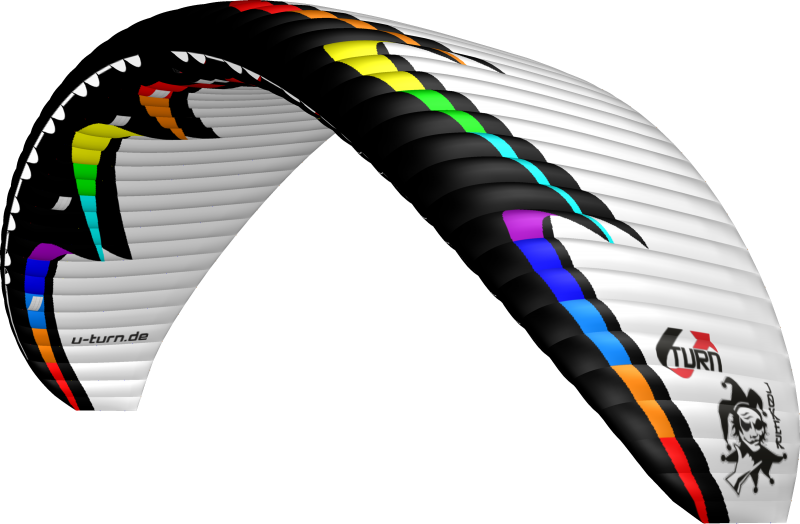 Through the high dynamics and fantastic turning characteristics of the glider all maneuvers can be exactly led over to and combined. 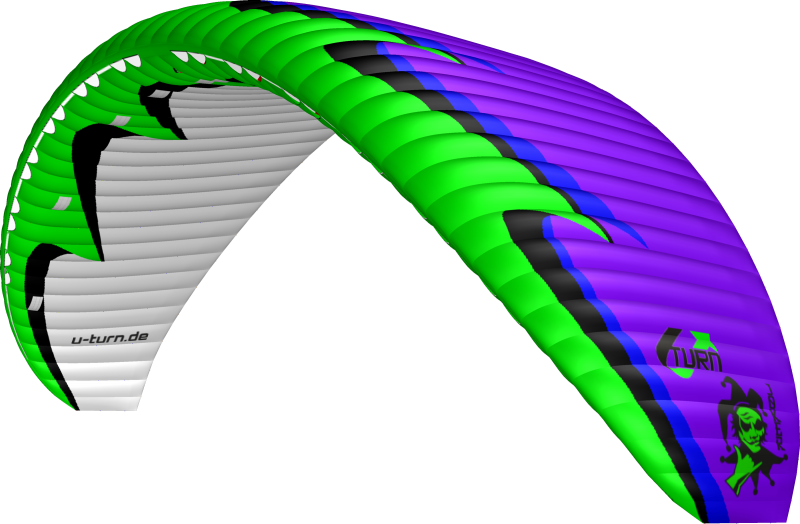 The response behavior is direct and very precise, nevertheless the wing is condoning if the diming is a little bit off. The compact wing has high internal pressure with minimal control delay and still delivers a gentle feedback. The pressure at the stabilos especially was improved multiple times and creates the base for the outstanding turning features at all negative maneuvers. The exceptional athlete and Acro-Team pilot Brooke Whatnall was in charge through the development and took care of the elaborate trimming of every size over the course of one year. 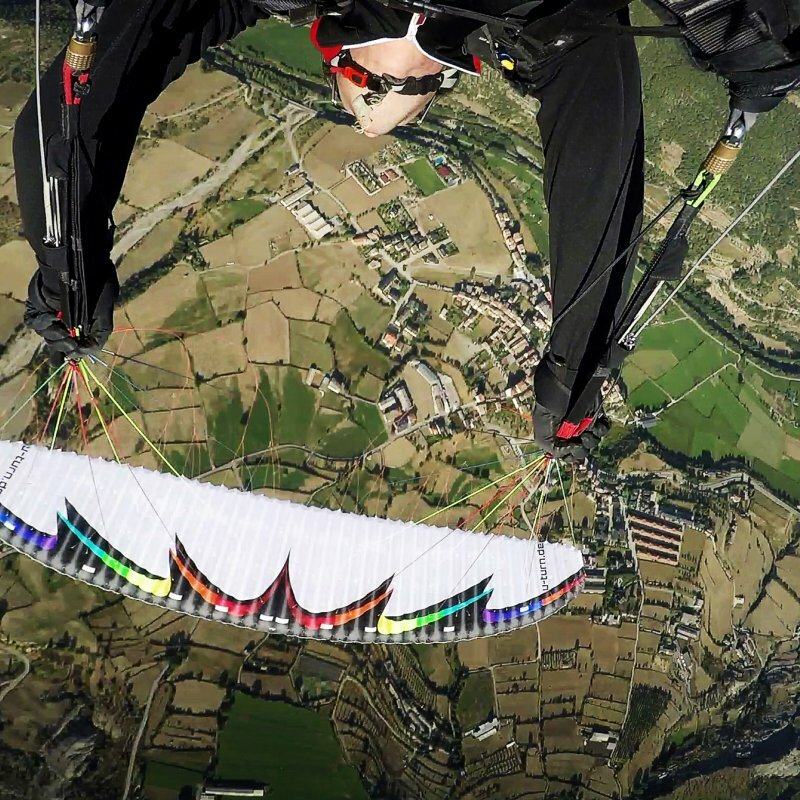 At this place we would also like to say thanks to the countless Joker test pilots who voiced their feedback in Organyá and thereby contributed to the perfection of this acro wing. The JOKER is optimized for Twisted Tricks, therefore Trimmer were left off the risers to keep them clean. Acro constructer legend Ernst Strobl trusts in the U-Turn typical High-Tech design of the leading edge with pressure-optimized opening sizes and the reinforced Precision Profile Nose (PPN) to optimize the flow-around at the nose area. The PPN+ additionally holds the individual cells in shape and ensures the air income through the rods that are worked in in the middle of the openings - in combination with the valves in the bottom sail that‘s a pure dynamic weapon. The additional aeration through the Pressure Balance Valves (PBV) in the bottom sail is an innovation by U-Turn. 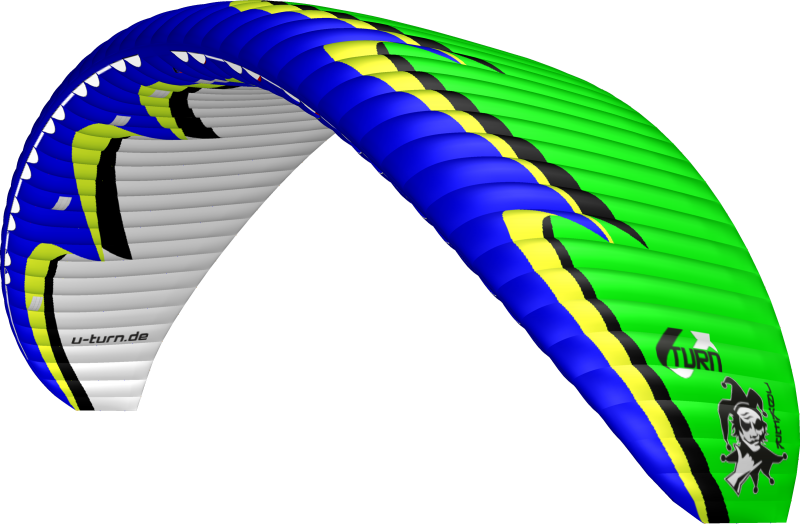 Through the PBV the wing is provided with the necessary pressure, even in extreme angles of attack in the aerobatics. The High Pressure Crossport Design (HPCD) optimized the lateral aeration and provides a balanced internal pressure of the glider. All line attachment points are multiply reinforced. 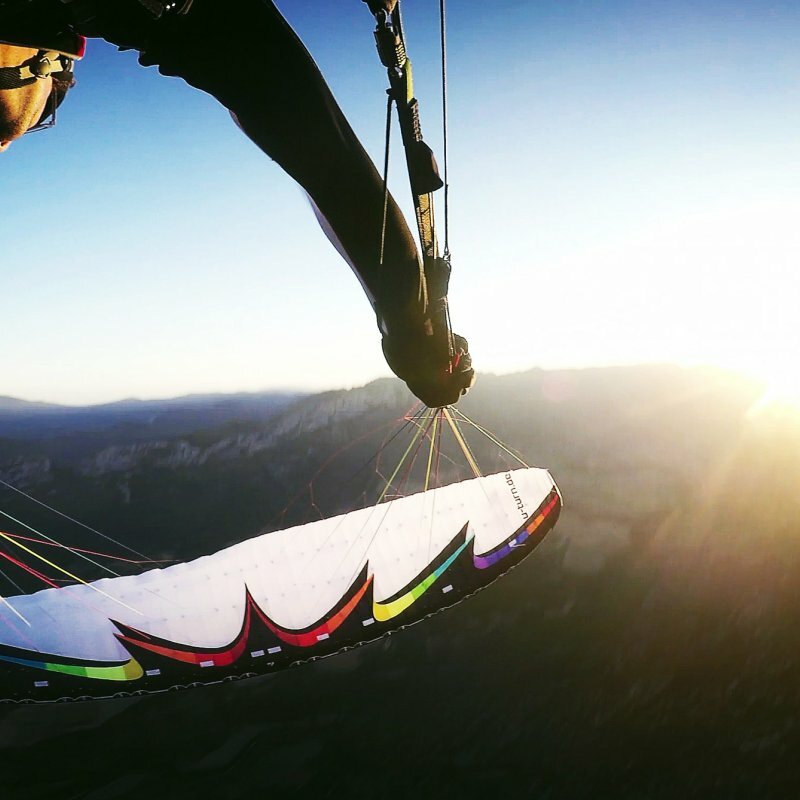 Like at all U-Turn Acro gliders also the JOKER is equipped with the Stabilo Security Function (SSF) to quickly resolve possible problems caused by swaying movements. The JOKER is built in very high quality and designed for long durability under extreme loads. The numerous innovations and reinforcements call for a very elaborate production process. At the JOKER U-Turn also trusts in the newest generation of the refined version of the Thriller-fabric PX40. Only materials which passed extensive long-term tests and have shown good values were used in the JOKER. But also in the processing everything is done to ensure long durability and form fidelity, that includes multiply reinforced sewings and reinforcements at the line attachment points and V-tapes. The line connections are equipped with the Line Loop Protection (LLP). Thereby the Kevlar core is spliced into the connection loop which additionally prevents snagging of the lines at the point of separation.